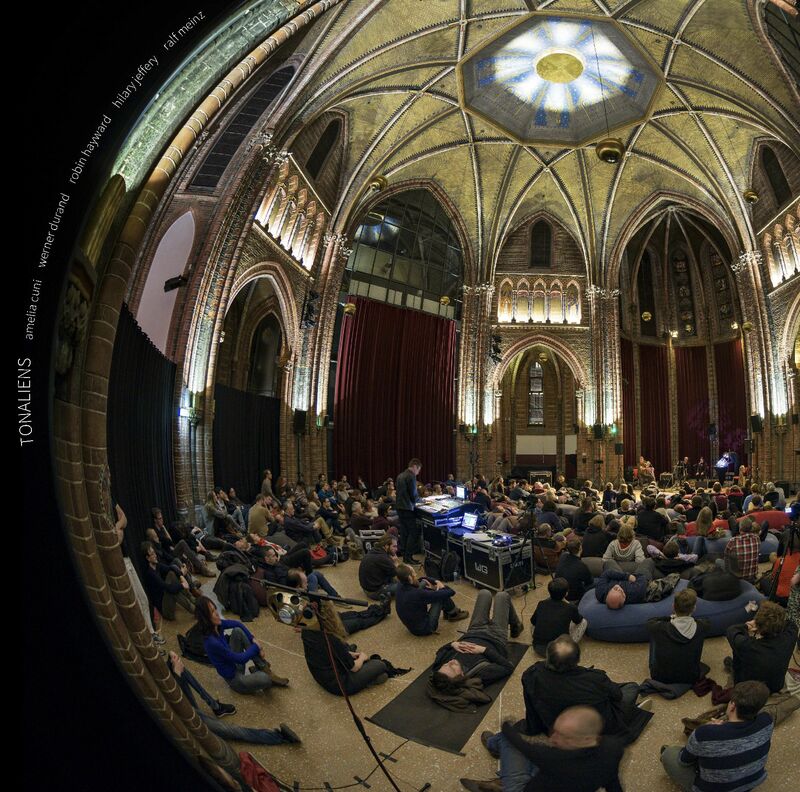 Tonaliens is a Berlin-based group investigating the inner dimensions and outer limits of Just Intonation. It was formed in 2014 by Amelia Cuni (voice), Werner Durand (invented wind instruments), Robin Hayward (microtonal tuba), Hilary Jeffery (trombone), and Ralf Meinz (live sound, electronics). The group came together shortly after the release of the software version of the Hayward Tuning Vine, an interface for exploring microtonal tuning that allows for direct and intuitive interaction with the pitches normally hidden between the keys of the piano. Coming from diverse backgrounds, the musicians were eager to explore this harmonic space, and thus the tuning vine "acted first as a catalyst, then as a map, and finally as a spaceship" (Hayward) that enabled them to navigate those areas that largely remain obscured. The music of Tonaliens has so far been focused on a very specific area within the microtonal space that was discovered by mapping out the first three harmonics of three tubes of Durand's self-invented Pan-Ney instrument. They named this area the Tonaliens chord, and both recordings on this double LP – two live performances from 2015 – are based on it. Sides A and B are recorded live in a church in Amsterdam, the Vondelkerk, during the Sonic Acts Festival. Sides C and D contain a contrasting, more intimate performance made at KuLe in Berlin for the Labor Sonor concert series. Amelia Cuni appears only on the Amsterdam recording. Edition of 300 in full-color gatefold sleeve with liner notes by Robin Hayward, and detailed photos and screenshots. Black poly-lined inner sleeves.